Do you know what these three statements have in common? Bulls hate the color red. Wait thirty minutes after eating before swimming. That’s right, they’re all common misconceptions that have been circulating for decades. If you want the facts (and we’re big on facts), Napoleon was taller than the average French man of his time at a whopping 5’7”, bulls are colorblind, and eating before swimming does not increase your risk of cramping up in the water. People get carried away with misconceptions. After all, if you read it on the internet it must be true, right? So, what do Napoleon, bulls, and swimming have in common with inbound marketing? Inbound marketing is a relatively new buzz term and tactic in the business world that has been drawing huge applause from the companies and agencies that implement it correctly. But, alongside those yea-sayers are nay-sayers who assert, “inbound marketing doesn’t work,” or, “it’s just a fad,” in order to give misguided support to their claims. Today we’re here to talk about the common misconceptions of inbound marketing – the “Napoleon” (or “bull” or “summer bbq with swimming”) of the marketing world. We’re going; to debunk those claims and let you know that inbound marketing does work — and that you can grow your Return on Investment (ROI) while achieving amazing results with an inbound marketing campaign. After all, no one likes misconceptions being swirled around, especially if you like to enjoy a burger at your pool party. Okay, SEO is definitely not dead. It’s just...different. Especially given that search is the number one content discovery tool on mobile platforms. But when Google introduced their new Hummingbird algorithm, it did change the old style of SEO. Hummingbird became more effective at analyzing the meaning behind web pages, instead of allowing users to jam as many keywords into their web page as humanly possible in order to get better search results. This new algorithm has also led to the greater importance of long-tail keywords in SEO strategy. False. Ever hear of Closed Loop Analytics (CLA)? This hunk of a tool allows you to track lead generation from clicks on email lists and social media that eventually convert leads into customers. 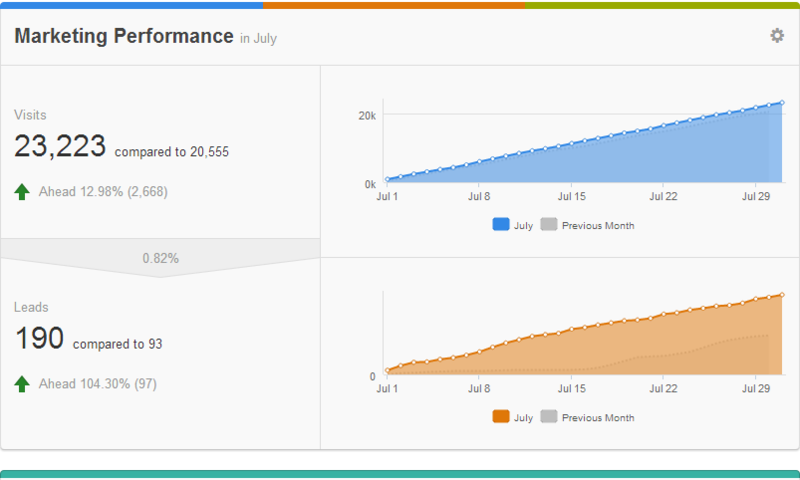 In addition, CLA can give you consumption reports (content views, time on page, bounce rate), sharing metrics (retweets, shares, engagement), and even sales metrics that show how your website content impacts your top-line growth. No matter what your industry is, it’s only boring if you make it boring. What do people look for when they are using search engines? Helpful, useful content. If your blog can answer customers’ most frequent questions, then you end up developing great content for your industry that helps people. When in doubt, a creative, light tone can always jazz up a boring blog post. Sorry, but have you seen the Internet lately? Almost all of the best companies are doing at least one form of inbound marketing. In fact, 77% of Fortune 500 companies have an inbound marketing strategy. Companies from Coca-Cola to Microsoft and General Motors, to Starbucks and Samsung all use inbound marketing as a key strategy in their overarching marketing campaigns. This is where things can get a little tricky between upper management and marketers. Often, CEO’s and other executives start licking their lips when they see the amazing results of inbound marketing. They want to get their hands on it right away and make implementing an inbound marketing strategy the job of one individual. Unfortunately, that’s not going to work. Inbound involves many different skill sets that take time not only to hone, but to perform. Things like SEO, data analysis, content writing, development, and social media are all needed to implement a successful inbound marketing strategy. The truth is: you will need a team (or an agency) to help you do the job. The positive side is that executives are more likely to hand over company resources when they can see the results of effective inbound marketing campaigns. And there you have it, folks. You can blog about your industry if you make it interesting, SEO is imperative and ROI is easily measured, all the cool kids (like the biggest companies in the world), are doing it and — finally — there’s more than one “I” in inbound marketing. The truth is that inbound marketing is here to stay. So don’t let people fool you into thinking it’s a fad. The quicker you implement a strategic inbound marketing campaign, the quicker you’ll see results. Need help getting started with an inbound marketing strategy? Contact us. 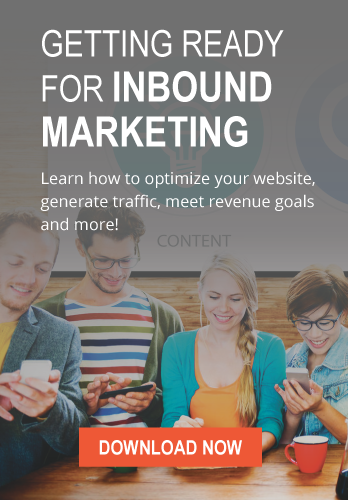 You can get a free inbound marketing strategy session that will help you understand better what inbound marketing truly is, how it fits your business, and how to best measure your results.